I can tell you for sure that I had a good day. I can tell you with less certainty that I tried 19 different beers, a cider, and a mead. I can in no way tell you which was the best. Off the top of my head (and with a little help from iPhone photos), the breweries listed below were represented (in no particular order). Weyerbacher, Rogue, Dogfish Head, Southern Tier, Victory, Stone, Widmer Brothers, Bells, Fox Barrel, Blue Point, Cigar City, Terrapin, Sam Adams, Lagunitas, Samuel Smith, Orval, Lazy Magnolia, Wells & Young's, and I know I'm missing some others. All in all, it's a nice list. I'm not going to place links to all the brewery sites here, but check back soon, as I'll add each to the Craft Breweries list on this Blog. So, without boring you or getting too detailed, I'll list a few of the highlights from the day. 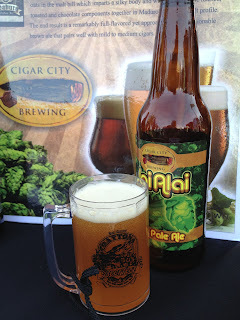 IPAs: There were either a lot of IPAs or that is where I tend to focus. Weyerbacher Double Simcoe - A nice IPA. A must try. Southern Tier, 2XIPA - It's OK, I think. I'm not sure it made a huge impact. Wider Brothers Rotator IPA Seried - Worth checking out, at least a way to keep it interesting. Bells, Two Hearted Ale - Another nice IPA. Cigar CIty, Jai Alai - One of my favorites. A must try. Blue Point, Rastafa Rye - Very good beer. And a cool label. If you find one, get it. Fox Barrel, Blackberry Pear Cider - not a beer, but refreshing and tasty. Wells Banana Bread Beer - Very enjoyable. Kinda sweet, but nice flavor and the banana is not hidden. I didn't get a photo, so check it out on their site here. 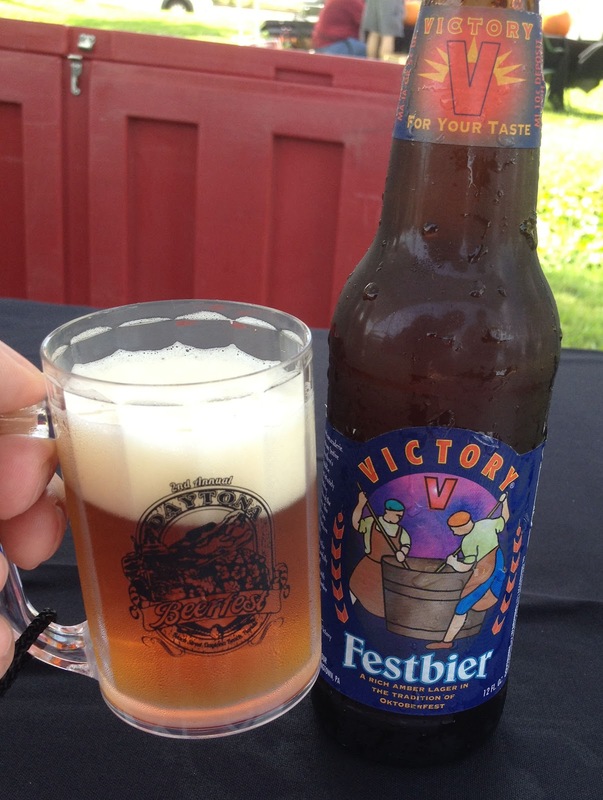 Victory, Festbier - I like Oktoberfest/Marzen beers, so I felt the need to drink one at a Sept 29th Beerfest. This seemed rather OK. What can I say, I drank a lot of beers and perhaps it is the over-the-top flavors that stood out the most. This was worth the mention though. If you choose to drink a Victory beer, select the Golden Monkey.